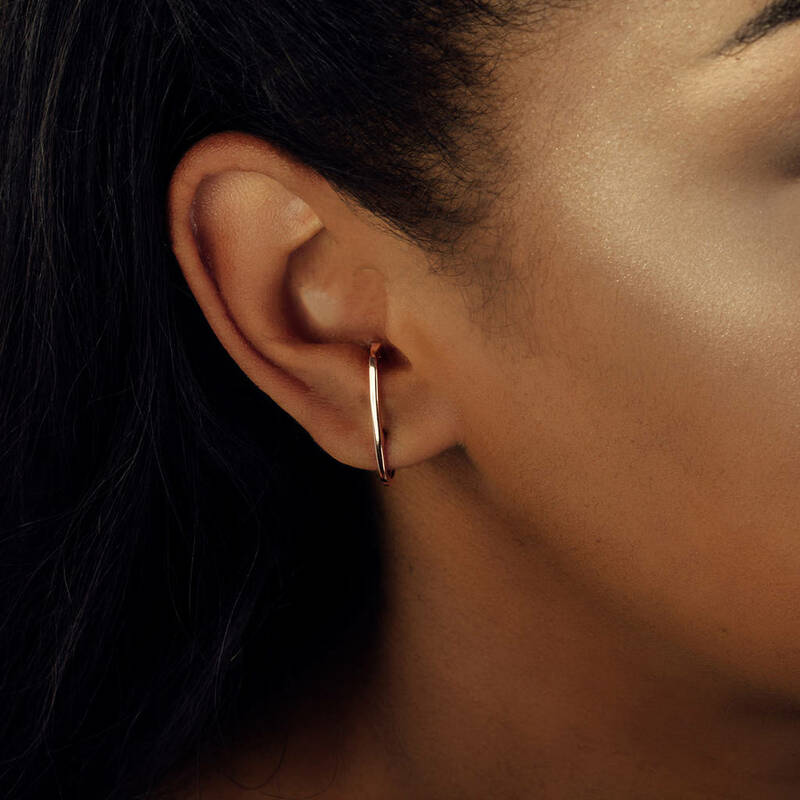 Funky style ear cuff studs made in sterling silver. Have the look of an ear cuff with the security of a stud backing. There are two cuffs in this set. one is plain and one decorated with crystal stones. 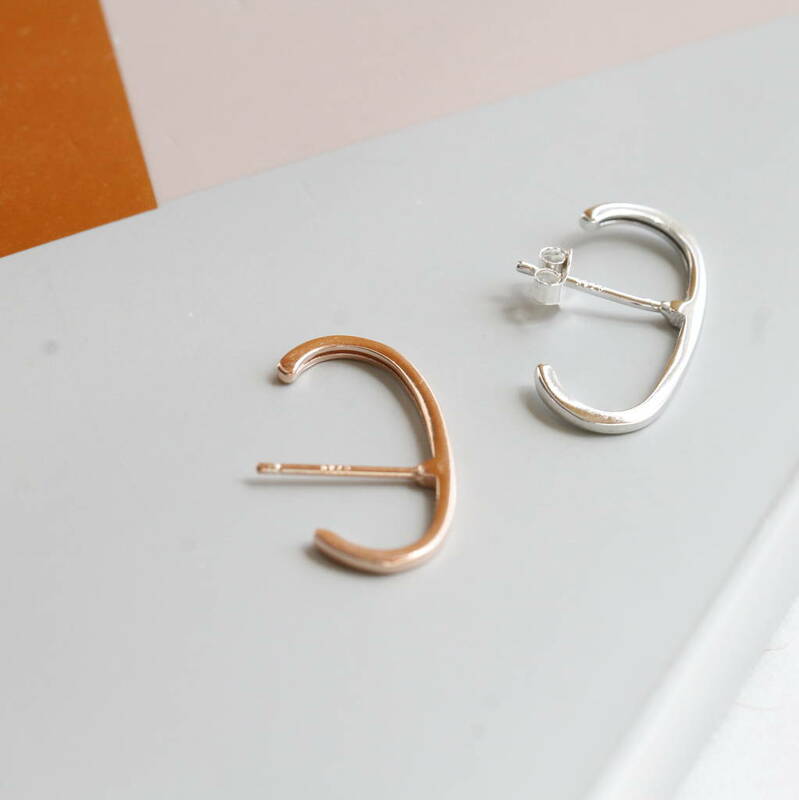 You can wear them on same ear or separately. 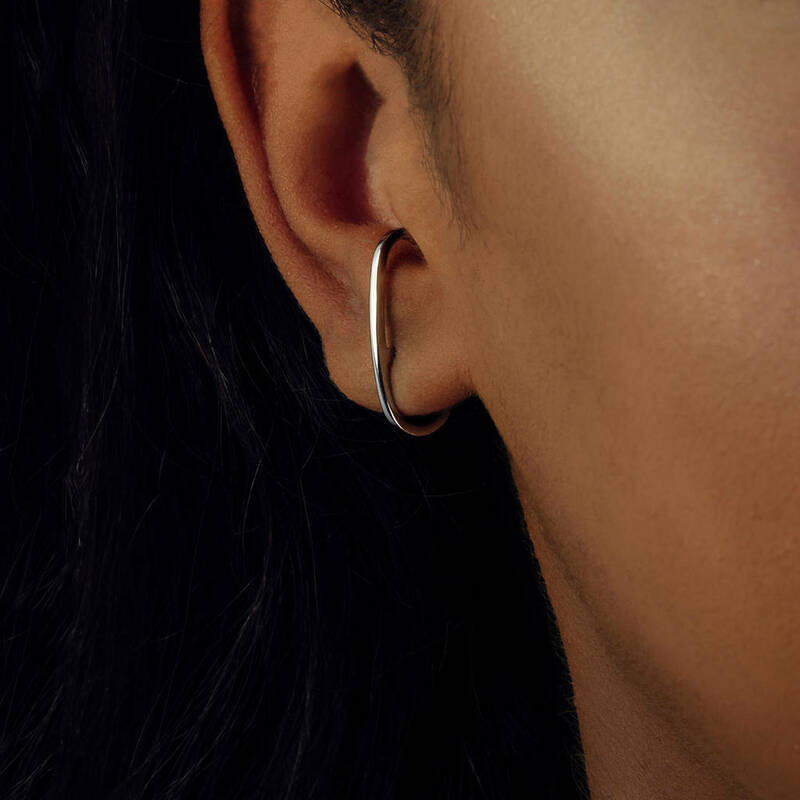 This unique design has a post and backing in the middle to secure through a piercing but still gives the effect that you are wearing an ear cuff. 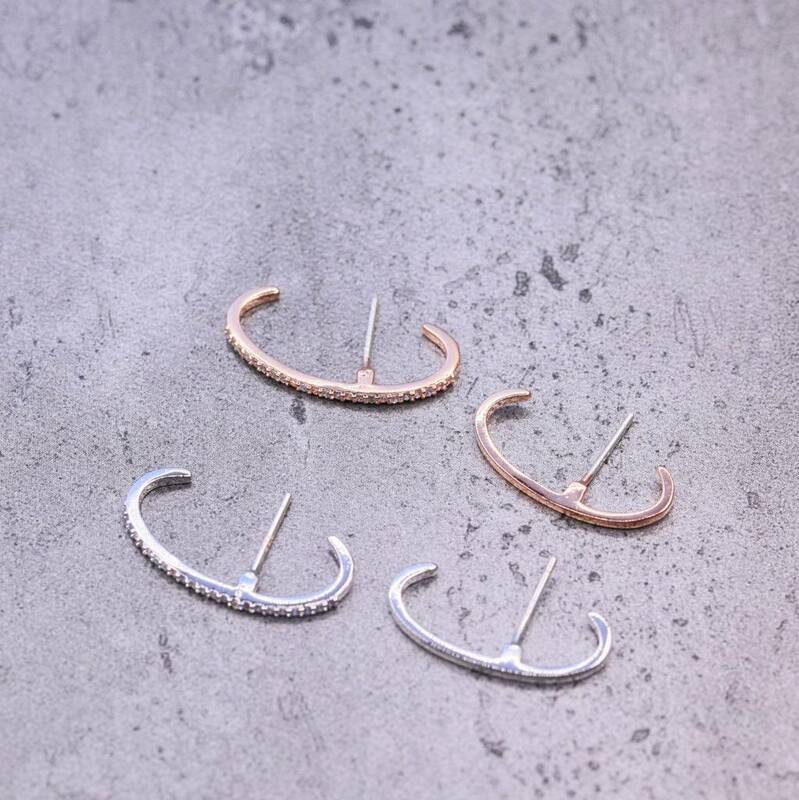 Available in either sterling silver or rose gold plated, choose to match your style. The contemporary style of this piece means it can be worn casually or as a stylish accent to a more glamorous look.